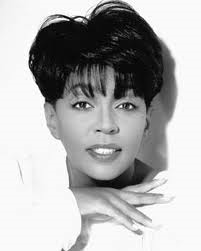 A bench warrant has been issued for the arrest of singer-songwriter Anita Baker in a lawsuit that alleges she failed to pay more than $15,000 for work done on her Grosse Pointe home, according to an attorney involved in the civil case. The bench warrant stems from the Grammy Award-winning singer’s failure to appear at a creditor’s examination in Wayne County Circuit Court last September after she was subpoenaed, said attorney Dan Gerow, who is representing Ray A. Smith Painting & Decorating. Gerow’s client alleges Baker did not pay for carpentry, plastering and painting work done at her home in 2009. According to Wayne County Circuit Court records online, a bench warrant was signed and filed Wednesday. WHATTT??!!... sittin' in the kitchen watching this on TV. BIG time crazy. Atty on his way to TV Station. Devil sho is busy.